TTNC members are invited to our Annual TTNC Members Evening on-board a vessel in London. The event takes place in March each year. 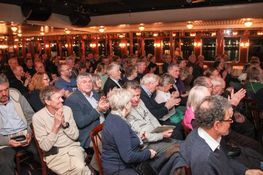 The evening will consist of topics from representatives of the Port of London Authority Harbour Master’s team, as well as guest speakers covering a range of different subjects in relation to the Thames. Invites go out mid January each year to all TTNC Members, and places can be booked via the link in the email invite. During the early/middle part of each year we offer exclusive river trips to our TTNC Members. These take place in our Upper District, in sections from Greenwich to Teddington. Trips are conducted on one of our Harbour Launches and you will be accompanied by one of our Upper Harbour Masters. 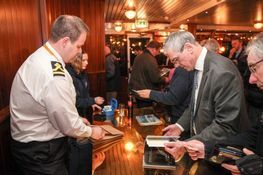 The information for the trips is communicated at our Annual TTNC Evening and members can book via the Book it Bee website - https://event.bookitbee.com/user/2312/port-of-london-authority/ once dates are released. Be quick though as the trips are hugely popular and spaces are limited! We will be hosting our next annual TTNC Evening on Wednesday 20th March 2019 (tickets will be released early 2019). This event will be held on board the vessel DIXIE QUEEN, at Butlers Wharf Pier, on the south side of the river next to Tower Bridge, commencing at 18.30 with tea and coffee being served from 18.00. The event will finish at approximately 20.30. The evening will consist of topics from representatives of the Port of London Authority Harbour Master's team, as well as guest speakers covering other various topics. Invites will be sent to all TTNC members in due course with details of how to book your space. The Open Day invite is sent via email and tickets for Vessel & Port Control Centre tours can be booked via the link in the email, however, if you not wish to book onto a tour you are still more than welcome to come along! 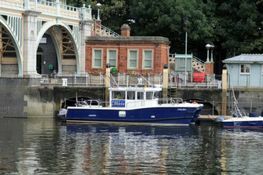 The Tidal Thames Navigators’ Club has been created to give all recreational boaters easy access to information for their navigation on the tidal Thames. The club is FREE to join and its main aim is to provide direct communication between the Port of London Authority and all recreational boaters. When joining the club you will be able to tell the Port of London Authority (PLA) about the boat you use on the river and the areas where you regularly use them. This will enable the PLA to send you navigational information that is tailored precisely to your needs. 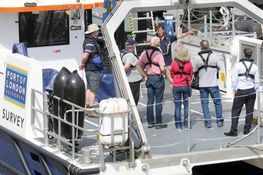 As a boat owner it will also give you the increased security of knowing that the Harbour Master can get in touch with you easily should anything happen to your boat whilst you are ashore. Other benefits of joining the club include free copies of PLA Tide Tables, Port Information handbook and a copy of PLA’s most current Recreational Users’ Guide for the tidal Thames posted to direct to you, as well as everything mentioned in the above. Members will also be able to purchase our Mariners Guide to Bridges on the Tidal Thames with an exclusive members' discount of 15% and postage is free when you purchase any one of our A2 colour folio charts - a saving of 12%. For any further details please email us or simply click below to join!